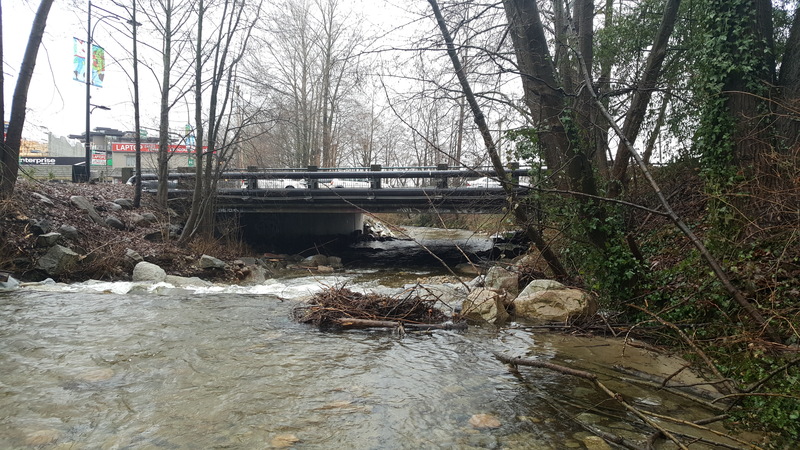 Mosquito Creek Bridge is located in North Vancouver near the intersection of Marine Drive and Fell Avenue. The bridge was designed by A.B. (Sandy) Sanderson and was constructed in 1953. 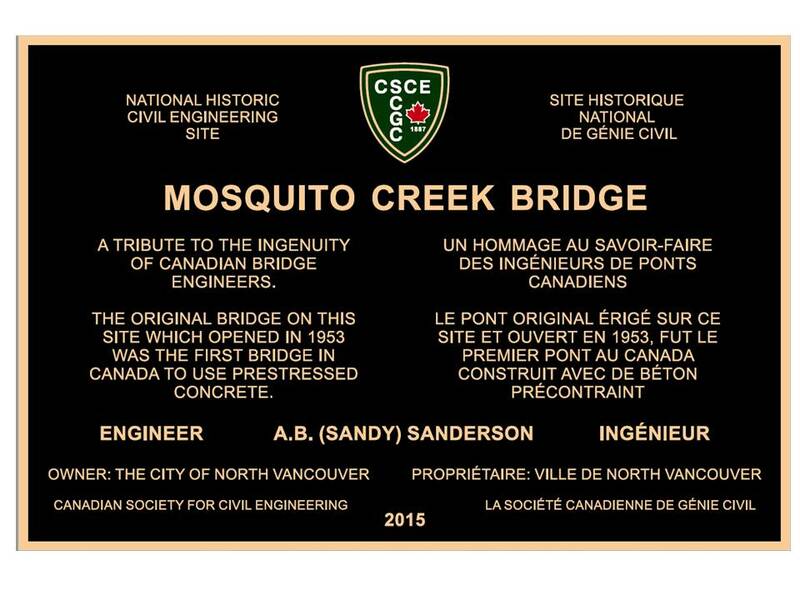 This was the first time that prestressed concrete technology was used in Canadian Bridge construction. Prestressed concrete technology was a significant advancement in Civil Engineering technology and is now commonly used in Canada and across the world.